Prof. Jing Zhou graduated from the Department of Second Language Studies at University of Hawaii at Manoa. 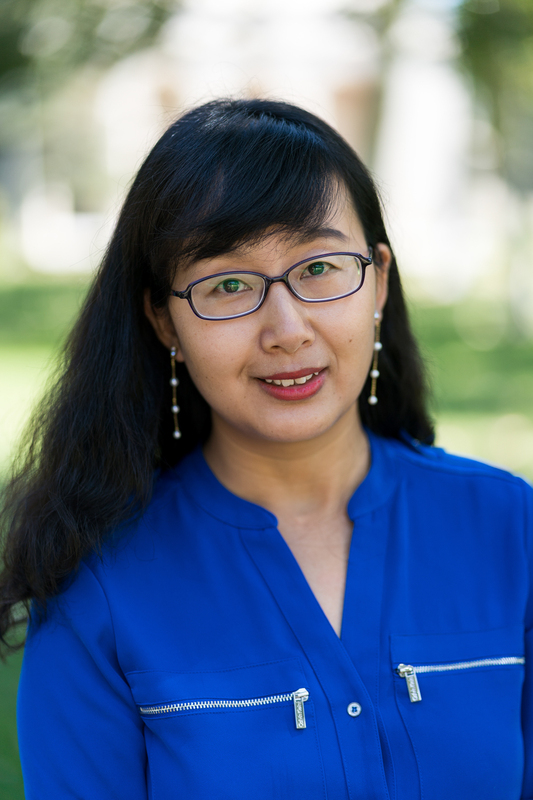 Jing Zhou’s specialization includes second language teaching, second language reading, extensive reading, research methodology, and teaching Chinese and English as foreign languages. Zhou, J. (2017). Reading anxiety in learners of Chinese as a foreign language. Reading in a Foreign Language. 29 (1), 155-173. Zhou, J. (2017). The grammaticalization of the preposition Gen in Chinese. Proceedings of 20th LLL graduate student conference. Hawaii: University of Hawaii at Manoa. Zhou, J. (2017). A study of CFL learners’ pragmatic ability based on responses to compliments. In Jia Y. M, Li C. P., & Wu W. P. (Eds). Linguistics and teaching Chinese as a foreign language: Curriculum and testing, 92-117. Commercial Press Hong Kong. Clements. D, Zhou, J, & Gao, W. (2015). Practical Guiding Techniques: A Bilingual Handbook in English and Chinese. China Tourism Publishing House. Zhou, J. (2012) An Analysis of Logical Errors Made by Students in English—Chinese Discourse Translation. The Silk Road, 2, 96-98. Jiang, Q. X, Jin, P, & Zhou, J. (2009) The Intertextual Relations Between Literary Writing and Literary Translation: A Descriptive Study Based on Works by Lin Yutang. Foreign Literature Studies, 31(2), 89-99. Zhou, J. (2009). Translation for Foreign Affairs. Chapter 9 and 11. In Qiuxia Jiang (Ed.) Foreign Language Teaching and Research Press. Zhou, J. (2008) The Chinese- English Thinking Difference and its Implication in Translation Teaching – with Students Sentence Translation Homework as examples. Mudanjiang University Journal, 4, 144-146. Zhou, J. (2008) The Creation of Literary Effect in The Fall of the House Usher. Science and Technology Consulting Journal, 9, 175.